The Efest e Cigarette power bank has a monumental 12,000 mAh battery. 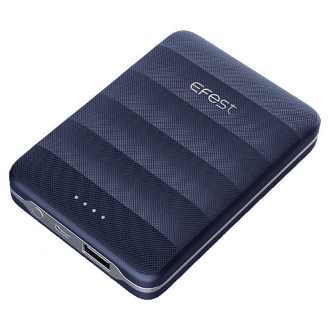 Efest brings you something new and exciting that may just cause traditional 18650 chargers to go instinct! USB Charging has become a much more popular alternative way to power e cigarette devices, with their comfortability and easiness. This Method of charging eliminates the necessity of removing your 18650 battery or worry about carrying multiple batteries again! The power bank has one USB slot to charge your devices and one Micro USB to re charge the power bank itself. The Efest power bank gives you the insurance of a fully charged battery no matter your location!